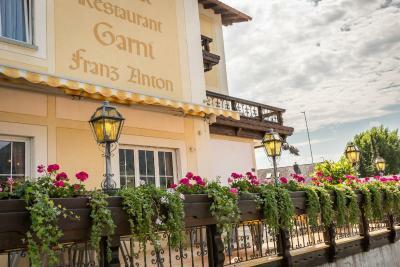 Lock in a great price for Hotel Restaurant Franz Anton – rated 8 by recent guests! Central location, only about a five minute walk from the center, a little further from the train station. The place is spotless! I like that locals pop in at the restaurant in the morning to read their newspaper and chat with the manager/owner. Checking in and out was very lean and only took a minute. The hotel is 10mins walking distance away from Sargans town center. Right next to it is a bus stop. But be aware that there is only one bus departing every hour. Room was clean, quite and comfortable. Some of the staff cannot speak very good English but they try and they are really friendly and helpful. For a hotel in Switzerland, price was quite affordable. Also for that price the hotel provided an excellent service. Also, i definitely recommend trying the restaurant as well. Nothing positive. It was our worst experience ever. 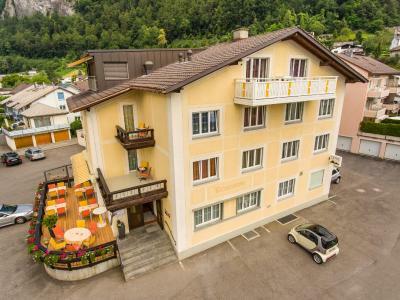 A comfortable property near the old town in Sargans. The proximity to the old town is an advantage. Breakfast was good and the staff were friendly throughout. Strong shower and the beds were fine too. Breakfast is nice. Each room is neat and clean. Nice view from room window. Nelly the owner is very welcoming with a good sense of humour - with our little bit of German and Nelly's few words of English, we managed to get on very well together. It is perfect place to stay. Clean, nice, very friendly staff. After few minutes you feel like at home. Food is excellent. At the inn, rooms come with a balcony with a mountain view. The rooms feature a desk. A continental breakfast is available daily at Hotel Restaurant Franz Anton. Lenzerheide is 30 miles from the accommodation. 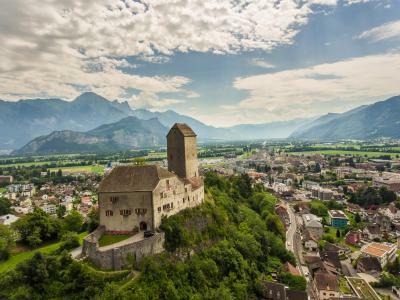 The nearest airport is St. Gallen-Altenrhein Airport, 42 miles from the property. This property is also rated for the best value in Sargans! Guests are getting more for their money when compared to other properties in this city. 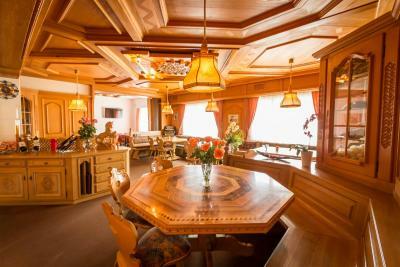 When would you like to stay at Hotel Restaurant Franz Anton? House Rules Hotel Restaurant Franz Anton takes special requests – add in the next step! All children under 12 years are charged CHF 40 per night for extra beds. Hotel Restaurant Franz Anton accepts these cards and reserves the right to temporarily hold an amount prior to arrival. Please note that the restaurant will be closed from 14 July to 12 August 2018. Breakfast will still be available. Please inform Hotel Restaurant Franz Anton of your expected arrival time in advance. You can use the Special Requests box when booking, or contact the property directly using the contact details in your confirmation. Very good breakfast, clean rooms, beautiful mountain view. Noise from the restaurant are audible from rooms on the 1st floor. Wednesday night seemed busy. No good for someone wanting to sleep before midnight. No one could speak English when I rang to complain. The bed sheet on matress seemed to have a faint smoke odour. The wifi could be faster. The room was average even though allegedly we had the best room. The toilet was leaking as the flush kept refilling every 10 mins. The owner said it was normal which is concerning. As an hotelier she doesn’t know the difference between a good and a bad working toilet. The room was noisy with the traffic. After checkin, we were the only 2 people in the whole hotel. There were no staff or other guests on the premises despite the owner claiming 80% occupancy. We had to use the back door through the basement to enter and exit the hotel as the main entrance was locked. We were not made to feel welcome. We phoned the hotel which was answered by the owner remotely. She came back to the property and called her translator friend. After we explained we were unhappy, the friend said: “you can leave if you are not happy”. When we asked about the room charge and said that we couldn't pay for 2 hotels, the friend replied: “why not?”. The owner left the premises yet again. That night, we contacted Booking.com to assist. They rang the hotel but no reply. When we tried to cancel our 2nd night directly and through Booking.com, the hotel refused even after Booking.com and we pleaded with them. After we explained that we felt uncomfortable and unhappy in the hotel just the two of us with no staff or other guests, the owner's daughter obnoxiously replied that they were ok having 2 dissatisfied customers, and we could leave but we would still have to pay for the room. In other words, they could not care less about their guests. When we enquired about emergencies should there be one, she replied frostily: “just call the Swiss emergency service”. In summary, as guests we were the caretaker of their property! We also found out too late that the owners were obnoxious to our friends who were looking to book a hotel for their wedding guests. Had we known we would be the only people staying and the owners could not care less, we would not have booked this ghastly hotel. We regret it. It would be great if the hotel could let travelers know beforehand if the restaurant will be closed during the stay. I was personally looking forward to some traditional Swiss food in the restaurant of the hotel :) - this is a minor point. Overall I found this accommodation comfortable and would stay here again. It wasn’t open. There was a sign that seemed to indicate a holiday from mid July to mid August. I booked this without any indication of it being closed at this time. little bit far from Sargans stationa dn center of city. About 1.3km from station. Breakfast is good. Nice view from window. Distance from station is 1.3km. There is no shop near the hotel. The only slight niggle was that the maid came to clean and tidy our room each morning before we had chance to vacate it properly!